Sam started his career by earning his B.S in Wildland Recreation Management from the University of Idaho and a M.S. in Natural Resources Management at the University of Vermont. It was at UVM when he began his work in GIS as part of his graduate education using ESRI’s first GIS software product PIOS (Polygon Information and Overlay System). For those that don’t know, PIOS was the predecessor of Arc/Info. This was way back in the days of command line GIS. It should be noted that his mentor during his early years at UVM was none other than Gary Smith, who was the first President of NEARC, and the 2007 Thacher Award recipient. After graduating from UVM, Sam became the GIS Manager for Westchester County, NY, where he has worked for over 30 years. He currently serves as the Assistant CIO for GIS within the County. In addition to overseeing the County’s enterprise GIS program, he has worked extensively with municipal governments throughout the County in developing their geospatial databases and building their local GIS capacity. During his tenure at the County, Sam has served as a mentor to countless young GIS professionals. His 30+ years of County service also includes a four-year IPA detail with the U.S. Geological Survey, National Geospatial Program in Reston, Virginia. Sam has had an incredible impact on both the NYS GIS Program as well as NEARC. He has been a leader in the NYS GIS Community for his entire career… He was a member of the NY Geospatial Advisory Council from 1997 – 2013, and was one of the original members of the NYS Geospatial Summit Planning Committee. Sam also founded the NYS GIS Association which is now the core GIS professional organization within the State. 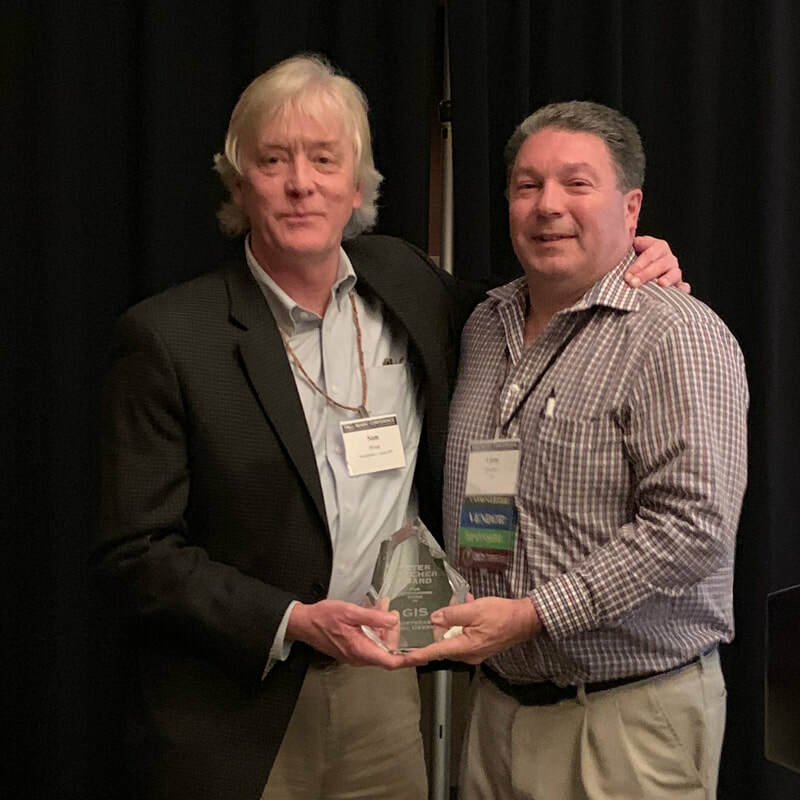 Sam is also one of the “old guard” of NEARC, having participated in every aspect of the organization for the past 30 years… from being host chair for the Fall Conference, to serving on the board for many years, and is the only one to serve as NEARC President twice. The NYS GIS Program and NEARC would not be what they are today without the involvement from Sam over the past 30 years. Finally, Sam is the author of his own blog entitled “eSpatially New York” in which he writes about many different GeoSpatial topics within New York. When considering his contributions to local government, it is only fitting that one of his latest Blog posts is entitled “Shared Services: Opportunities for Local Government GIS”. It is my honor to present the 2018 Peter S. Thacher Award to my long-time friend and colleague, Sam Wear.